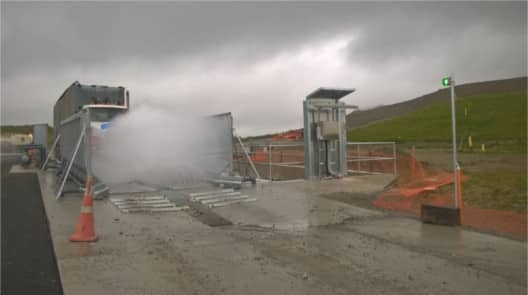 Waste Management New Zealand, in their drive to minimize impact on the surrounding environment have installed an InterClean wheel and chassis wash at their Redvale site, north of Auckland. 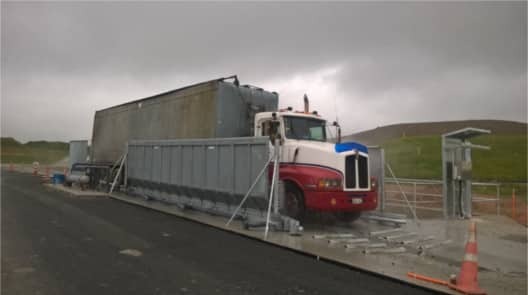 This fully automated system allows Waste Management to ensure debris from the site is not tracked out onto public roads by the many trucks that move in and out on a daily basis. A 21 meter wash bay with underbody, tyre and wheel well jets and low wash towers address the lower details of the trucks. These deliver high volumes of water at relatively low pressures to keep electrical componentry and seals on the trucks safe while getting rid of as much grime as possible, a key aspect of a well designed heavy vehicle wash system or wheel and chassis wash system. This system, and others like it, are quality manufactured in the United States by InterClean Equipment Inc from heavy gauge steel with durable heavy galvanising processes. It is built to work hard and last a long time. The system is supplied, installed and supported by Transport Wash Systems.